Most people are cognizant of the reality of conflict in their lives—personally and professionally. But have you spent much time considering the impact unresolved conflict has on the bottom line of most businesses? A study was conducted in 2008 by CPP Inc. (publishers of the Myers-Briggs Assessment and the Thomas-Kilmann Conflict Mode Instrument) on this very topic, and the results were quite remarkable. U.S. employees spent about 2.8 hours per week dealing with conflict, and the cost associated with those hours represented approximately $359 billion in paid compensation. 25% of the participants reported having lost work due to unresolved conflict (through sickness or absence), and one-third also believed co-workers had left or been fired as a direct result of conflict in their organization. These startling statistics reveal that there probably isn’t enough “ado” about conflict! 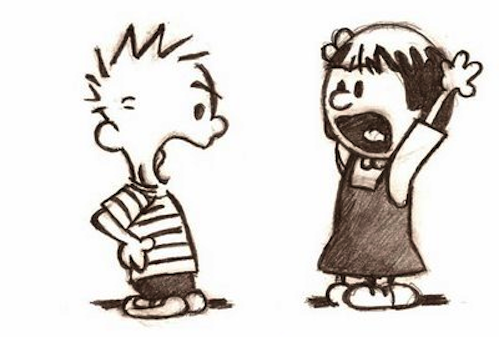 Fortunately, the ability to resolve conflict is a skill that can be improved upon over time. As a leader, you don’t have to feel stuck in a “fight or flight” pattern—and neither do fellow Corporate Family® members. Indeed, conflict management is one of the 25 EQ (Emotional Quotient) characteristics that LEADon University® emphasizes in its Developing Your EQ to Improve Your Emotional Competence® online course. At LEADon, we define conflict management as emotional self-control that allows you to delay gratification, stifle impulses, and channel emotions in the service of a goal. In our LEADing by Resolving Conflict® online course, we also share seven strategies anyone can implement in their personal and professional life to begin resolving conflict in new, improved ways. Among these strategies is learning how to respond rather than react when a conflict arises. Reaction is a natural, knee-jerk approach—which for some involves fleeing the situation or, for others, preparing for a skirmish. Instead, the team at LEADon encourages responsive behavior—which means taking time to consider the circumstances, reflecting on potential solutions, and then channeling emotions that will allow resolution to occur. In a June 2017 Forbes article, Laura Berger also suggests practical approaches to conflict management that everyone in leadership should consider. One of our favorites is to encourage a culture that gives and receives feedback. If lines of communication are open on a regular, consistent basis, then addressing more challenging scenarios will be easier in the long run. As Berger states, “Allowing unpleasant truths to trickle out gradually fosters a sense of camaraderie and understanding within your organization, in turn reducing the risk of future conflict” (see more of Berger’s suggestions in her post Five Conflict Management Strategies). Do you know your strengths and weakness in the EQ characteristic of conflict management? A quick evaluation can be done by simply asking family, friends, and fellow colleagues to give you feedback on your level of emotional self-control. Ask them specifically how they feel you do at delaying gratification, stifling impulses, and challenging emotions to accomplish tasks. If you’d also like valid and reliable results from a metric, then check out LEADon’s 30-minute online assessment called the DECQ® (Developing Emotional Competency Questionnaire). Once completed, you will receive immediate electronic results not only on conflict management but also how you score in the other twenty-four EQ characteristics. Resolving conflict in healthy, productive ways isn’t always easy, but the benefits extend way beyond the bottom line. Sure, profitability will improve—but so will your interpersonal relationships and workplace environment. 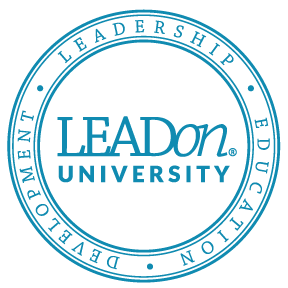 If the team at LEADon can be of assistance in your efforts to boost your conflict management skill sets, please contact us at 858.592.0700 or www.LEADonUniversity.com.